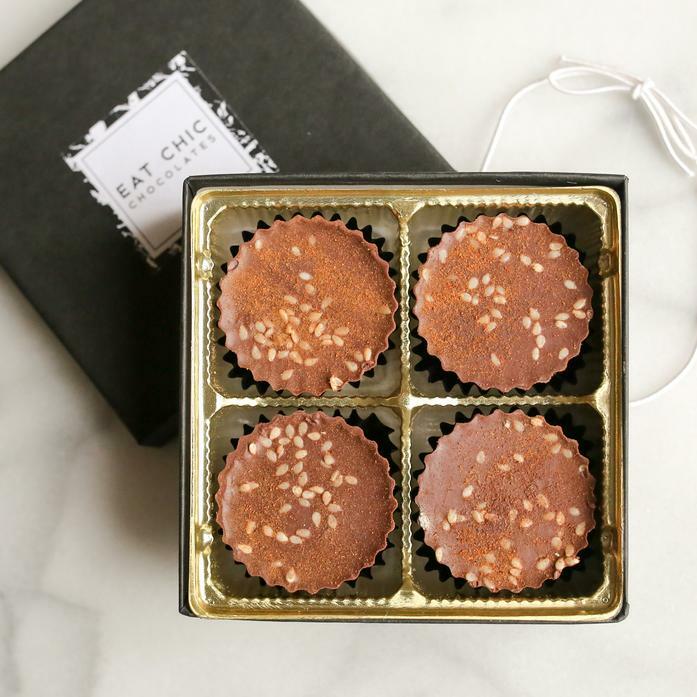 Rich organic coconut milk chocolate surrounds a warming, spiced tahini filling. Eat Chic whips organic tahini with true Ceylon cinnamon and a pinch of pink salt to create a decadent, lightly sweetened chocolate treat. These chocolates are handmade and handpacked with care in our Brooklyn kitchen. All the chocolates are hand crafted in Brooklyn by Lotta Anderson.